It’s true what they say, you never forget your midwife. I remember nearly every midwife I had with Oliver. My community midwife was the most understanding woman I had ever come across. Even before I met her, I was texting her at 4/5 weeks pregnant, explaining I couldn’t eat or drink, and if it wasn’t for her care I wouldn’t have been diagnosed with Hyperemises Gravidarum as soon as I did, and I was extremely dehydrated when I was admitted the first time. Throughout my pregnancy, my community midwife was there every step of the way. Hyperemises, bleeding, high blood pressure scares and just general hormones. Nothing was too much trouble for her, and honestly when the time came to say goodbye to her I was heartbroken. She understood me, the journey I had been on to get Oliver. She knew how much he meant to me and my family and she was a real angel. She knew how desperate I was to have a water birth, but she explained to me why I wouldn’t be able to have one and how I would have to deliver on the high risk ward, but she did it in the most empathetic way possible…she knew the fairy-tale pregnancy I wanted, that I never got. Even now, sometimes I bump into her and it makes my day, she is retired now sadly but I honestly feel she was one of the best things about my pregnancy. My “Labour Midwives” as I call them… I can remember them to this day. Lorraine was there when I came onto the labour ward a day before my due date, tears rolling down my face. She greeted me with a sweet smile. Even when I wasn’t in active labour she didn’t turn her back. She could see the discomfort I was in and did her best to help me. Offered me pain relief (even if I did tell her exactly what to do with the initial offer of paracetamol), she gave me gas and air and got me moving to get me in active labour. My waters went over her hand (absolutely disgusting) but she was as cool as a cucumber, and was excited for me. My waters went just at the end of her shift and she said; “Amy I’m about to hand over. If you carry on at this rate you’ll have a due date baby and he’ll be here early hours. Good Luck!” and she left, Emily took over. Who admittedly I judged… I thought to myself… She seems so young, so fresh… Lesson learnt, because that midwife who I judged practically saved my son’s life by noticing he was in distress and acting as fast as she did. 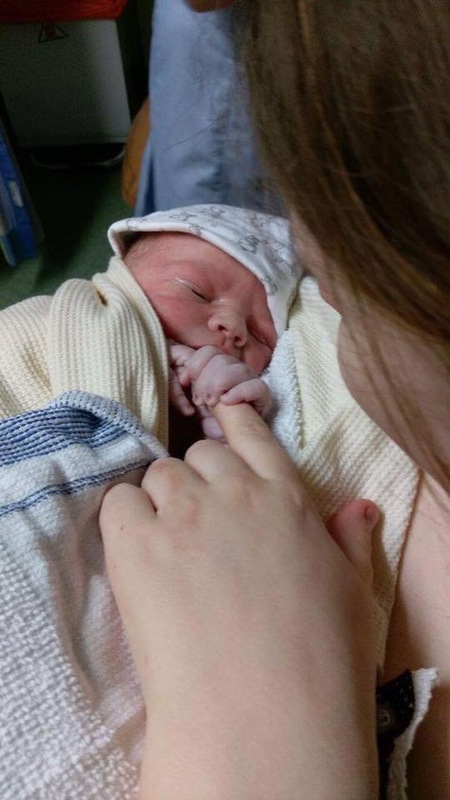 She got a team of midwives and fast bleeped a doctor to get my boy out in time, who told me not to give up and keep pushing, the same midwife I thought was so young. A room of 6 Midwives, All focused on welcoming my boy into the world. All telling me to push and keep going, patting me down with a cool flannel, getting ready to check my baby when he arrived, so effortless…as if it was second nature to them. I know some people might argue that this is their job, but it isn’t. The care, compassion and willingness midwives have… The patience they have, while a heavily pregnant woman is screaming, is insane. Our midwives are some of the most underappreciated people and I honestly am so, so, so grateful for the midwives I had, and I will never forget them. 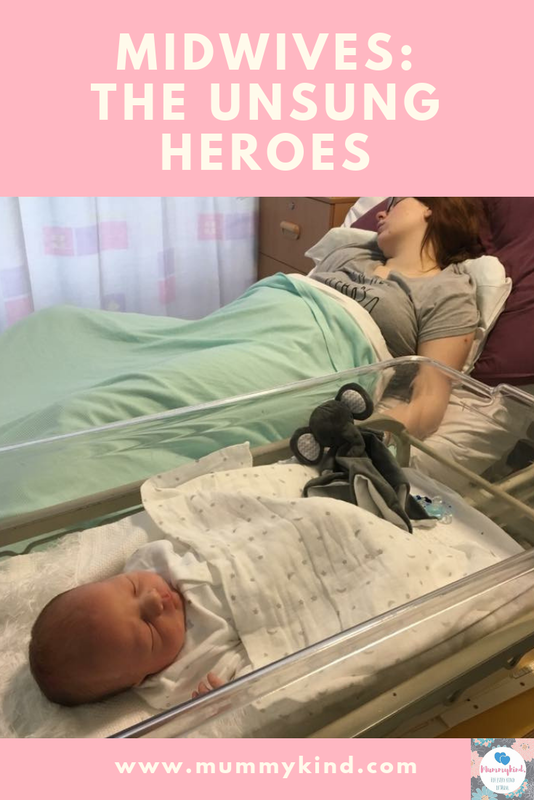 They saved my son’s life and without them my labour could have been very different. Midwives of the NHS, I salute you. such a lovely post and a reminder of the good that is the NHS and all the hard working staff. The after midwives took my son too for a few hours in the night so i could have a proper rest. they were amaze. Thanks so much for linking up at #KCACOLS. Hope you come back again next time. Next Post Underwater Swimming – Yay or Nay?